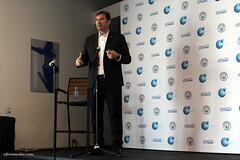 Dedication is the best word to describe Luis Nariño, the founder and frontman of Latin Alternative Rock/Pop group Noble Creatures. Today, September 2nd, marks the end of a five-year quest to complete and publish his band’s debut album, Strange Behavior. The journey began about a decade ago when Nariño arrived in L.A. from Kansas for the sole purpose of launching his career as an artist. 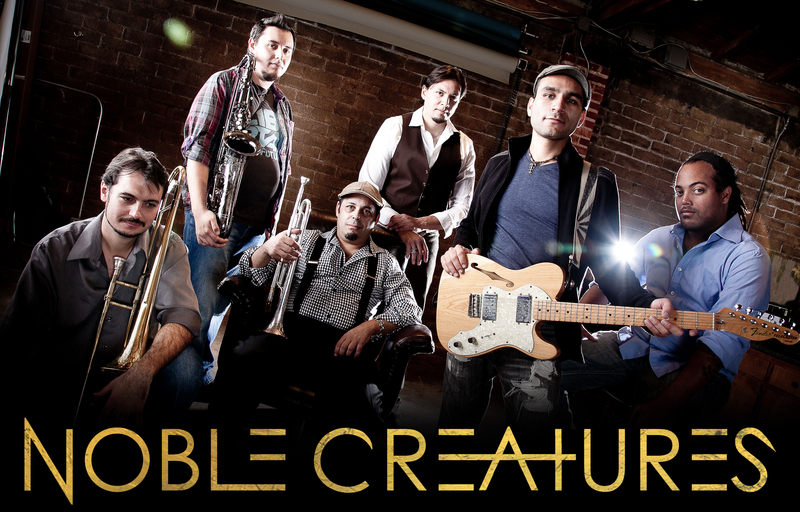 A rotating cast of musicians and a debut EP for the Luis Nariño Band eventually gave way to the solidified lineup of Nariño (lead vocals/rhythm guitar), Marcos Mora (drums), Ruben Salinas (Tenor Sax), Evan Mackey (trombone), Brina Simon (trumpet), David Bowman (bass), and Cliff Beach (backup vocals) in Noble Creatures. I spoke with Nariño at a restaurant in the Farmer’s Market about the album and how his Colombian-American upbringing shaped his life and music. The edited interview is below as a playlist. Strange Behavior is now available on iTunes and other major online distributors. Noble Creatures will play a album release party at The Virgil on Saturday, September 6th. This entry was posted in Latino, Music and tagged Luis Nariño, Noble Creatures, Strange Behavior. Bookmark the permalink.